Most condo owners probably aren’t aware of the benefits of a condo-owners insurance policy, even though they are required to obtain one if they financed the purchase of the condo…at least in the past few years. Condo-owners insurance, known as an HO-6 Policy, differs from the homeowner association’s master insurance policy, which many people mistakenly think will cover their losses. What’s the difference between the master policy and a condo-owners policy? The condominium homeowner association’s master insurance policy, is a commercial insurance policy that provides coverage for the building and common areas (e.g. lobby, hallways, community room, roof decks, courtyards, etc.) with the exception of individual units. It may also provide coverage for liability, ordinance and law, directors and officers, and employee dishonesty. Earthquake and flood insurance are optional. There are essentially two types of master policies: bare walls-in and all-in. With a bare walls-in policy, the association’s master policy provides coverage from the exterior walls and in to the studs. It does not provide coverage in individual units for installations or fixtures (flooring, lighting, countertops, kitchen/bath fixtures, plumbing etc.). The all-in policy is more comprehensive, providing coverage for installations and fixtures. However, it may not cover upgrades and improvements made to the property. A condo-owners insurance policy (HO-6), on the other hand, is essential to bridge the gap and provide coverage not included under the master policy, such as personal property, personal liability and loss assessment. Do I need an HO-6 policy? If you’re financing a purchase of a condo, you don’t have an choice. Changes to Fannie Mae, Freddie Mac and FHA over the past few years require buyers to purchase an HO-6 Policy. If you’ve paid cash or financed prior to the changes, it likely remains an option for you. My recommendation, as a condo specialist and former insurance underwriter, is yes…condo owners should obtain an HO-6 policy. The coverage and protection provided by an HO-6 policy can be invaluable to condo owners. An HO-6 condo-owners policy is a personal insurance policy that provides coverage for the interior of the unit (often referred to as a studs-in policy), personal property, loss of use, personal liability and coverage for special assessments levied against the owners. The basic HO-6 Policy consists of five coverage sections (standard in the industry) but the amount of coverage and settlement options may differ by insurance company. Optional insurance coverages can be purchased to supplement and expand the underlying coverage. The Dwelling coverage provides insurance for the interior real property not covered by the master policy such as the walls, flooring, fixtures and cabinetry. Reviewing the association’s master policy can help to determine how much Dwelling coverage you need. With a bare walls-in master policy, condo owners will need more coverage than with an all-in master policy. The Coverage A amount is usually a percentage of the Coverage C limit. Most policies provide between 10-30% of Coverage C as a basis, but the amount can be increased depending on need. The Personal Property coverage provides insurance for personal items damaged or lost due to a covered loss. This includes everything that is not permanently affixed to the unit – clothing, furniture, TV’s and other electronics, appliances, DVDs, Xbox/Wii, rugs, bikes, linen, towels, dishes and utensils, pots/pans, toiletries, etc. The amount of coverage varies, though insurance companies normally require a minimum limit. Insurance agents recommend completing an inventory to know how much coverage you need. From my experience as an underwriter, I can tell you most people underestimate the value of their personal property. It’s not until they suffer a loss do they realize they don’t have enough insurance to replace their clothing, furniture, computer, tv and all the small items that add up. HO-6 Policies also include specials limits on certain classes of property such as jewelry, cash, securities, furs and property away from the premises. There are two types of settlement options for Personal Property – either Actual Cash Value or Replacement Cost. Actual Cash Value will replace or repair the damaged/lost property minus depreciation. Replacement Cost will provide the full value to replace the damaged/lost property without depreciation. Whether an HO-6 Policy comes with Actual Cash Value or Replacement Cost coverage depends on the insurance company issuing the policy so it’s best to compare. This coverage is particularly important if a covered loss makes your condo unliveable. Coverage D will normally pay for the reasonable increase in expenses to maintain your standard of living for a certain amount of time and may include the cost for you to stay in a hotel and for meals. Coverage usually is stated in terms of time rather than a dollar amount, at least in Washington. For instance, a policy may provide coverage for up to 12 months. Personal Liability coverage protects you against the legal responsibility for bodily injury or property damage caused to other people on or away from your property. It also covers the cost to defend you in court and to cover monetary damages up to the policy limit. The Coverage E amount is typically available at $100,000 or $300,000 limits and the amount can be adjusted. Coverage F provides payments to your guests who are accidentally injured in your condo for reasonable medical expenses such as an examination, the ambulance ride, hospital visit, x-rays and surgery. Coverage F is usually provided with a $1,000 limit, which can be increased. Beside the five primary coverages listed above, HO-6 Policies have a list of Additional Coverages that many people don’t realize are included. The most important of these for condo owners is the Loss Assessment coverage. Loss Assessment Coverage provides protection against special assessments levied against condo owners for losses incurred at the complex. * In some cases, it can also cover the condo owner’s share of the master policy deductible. Most insurance companies provide a standard limit of $1,000, which can be increased up to $50,000. The cost to increase the coverage limit is minimal…about $20-30 per year for $50,000 in coverage. Other Additional Coverages may include fire department service charge, theft of credit cards, forgery, trees and shrubbery, cost to re-key locks due to theft of keys and refrigerated items among others. One option coverage recommended particularly in Seattle is Earthquake Insurance. While the homeowners association may have earthquake coverage for the building, it won’t cover damage to your personal property. As you can see, the HO-6 condo-owners insurance policy proves comprehensive protection above and beyond coverage of the master policy. And, it’s fairly inexpensive, generally under $300 per year. To determine how much coverage your need and to learn more about the different coverages, please consult with your insurance agent. * HO-6 Policies insures against loss and damage from a covered peril. Typical covered perils include: fire, lightning, wind and hail, smoke, theft, freezing of systems, explosion, falling objects, vandalism, riot, aircrafts & vehicles, volcanic ash, weight of ice & snow, accidental discharge of water or steam, electrical surge, glass or safety glazing and damage from home systems like a water heater and A/C unit. I don’t think many people who are purchasing condos think about these kinds of things. So the master policy provides coverage from: “the exterior walls and in to the studs.” Would it then provide coverage that came from the exterior or roof and damaged the inside of the condo? Say the ceilings? Thanks for the great article and all of the research that went into it. I would assume that selecting for insurance that only reimburses depreciated value probably isn’t very good, considering how fast material belongings lose value or become obsolete. Plus, it still pretty much costs the same amount of money to replace everything no matter how old it is. It might very well cost more. Terrific article but considering how inexpensive condo insurance actually is, especially when paired with an existing auto insurance policy, premiums on average are less than 200/year. Sure, it’s not chump change, but it’s not that much higher than say, renters insurance for example. 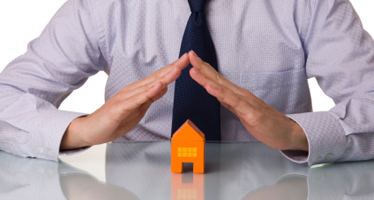 Besides that by having a condo insurance policy, owners also have liability protection. It always surprises me when condo owners decide not to get condo insurance. There have been two condo fires this year that should remind all condo owners why they should have insurance. In January two units in a condominium building by Northgate were destroyed. Even worse, nine units were destroyed in Kirkland two days ago. If you own condo and do not have insurance please read the article above and protect your investment!